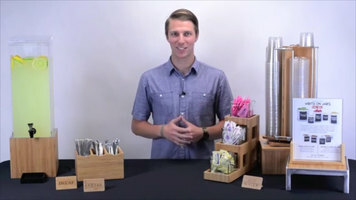 Point your patrons in the right direction at your buffet, cafe, or catered event with this trendy Cal-Mil 606-1 "coffee" beverage sign made of environmentally friendly bamboo. Featuring a detailed bamboo pattern with clearly printed lettering, your guests will be able to read the sign easily as they make their way through the beverage line. The natural material will fit in perfectly with your rustic buffet or restaurant. In addition, the free-standing design will make set up and cleanup practically effortless for your staff. 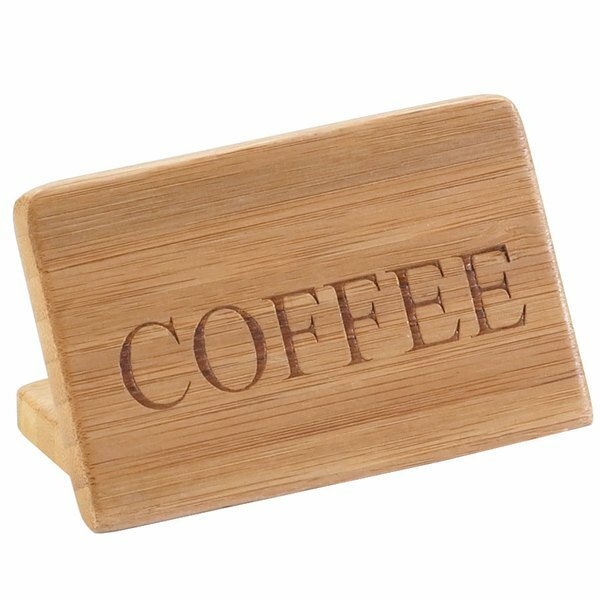 This 3" x 2" bamboo beverage sign takes up minimal countertop space which allows room for coffee supplies and any additional beverage signs. So set the scene and keep patrons from guessing what's what with this rustic bamboo "coffee" beverage sign. We buy everything here. ..and this is the most beautiful and elegant for a convenient store. .. we making the difference thank you! Webstaurant... La celeste mini market latino. WOW. i like this ''coffee'' beverge sing. looks greatbamboo has a nice look to it. and is very well maid. you cant miss the sing.